Here it is. One day, I woke up to face a sudden bold self-admission that I didn’t actually like the stuff, and really never had. I’d wanted to, because so many others did. Maybe I had suffered from some sort of eternal optimism, just knowing that one day, it would all come together, and I’d have the smoke of my life, but this never happened. It was a very good tobacco, carefully made from top-quality leaf, beautifully presented, and well-deserving of its excellent reputation, but it just was not for me, and never would be. I had certainly given it a fair shot, smoking it in pipes of different sizes and shapes, experimenting with different packing and smoking techniques. I’d smoked it right from a freshly opened tin, and I’d smoked it after giving it some air time. I’d smoked it moist and I’d smoked it dry. I’d tried everything I could think of to get this blend, but nothing really worked. It simply did not offer what I wanted, what I expected from it. Finally, on that day of momentary enlightenment that came only after a couple of years of diligent effort, I managed to spontaneously suss out that we simply would never be friends, that it was time to part company, at least for the time being. Apparently, I am sometimes a slow learner. I also, apparently, forget stuff. Tonight, as I was preparing to write, my thoughts began aimlessly wandering, as they so often do when I’m in the middle of a good session of highly disciplined procrastination. I’d filled a large but comfortable bowl from a freshly opened, well aged tin of that very same tobacco, conveniently forgetting that I didn’t really care for it, and settled in for the work ahead. After the charring light, a page full of doodles, a quick phone call, the brewing of a pot of tea, relighting the bowl, playing tug-o-war with my dog, checking to see if the guitar was in tune, grabbing a little snack, another relight, thinking about ironing my socks — you get the picture — I’d really be ready to get to work. Then, suddenly, those old memories returned, along with the realization that, even after quite a few years of additional age, both my own and the tobacco’s, we still just don’t get along. Sure, there’s a lot going on in the smoke. There’s complexity, there’s the smokiness of the Latakia, the tang of the orientals, and somewhere in the background, the backbone of virginias are doing what it can to hold it all upright; it’s still a fine tobacco, enduring time in its tin with grace, but it’s just not coming together for me. I might as well get it out of the way now that I’m not going to reveal the identity of the blend, so don’t even ask. That’s really not the point, here. I’m sharing this tonight not to criticize or praise any specific tobacco, but in hope of finding a little camaraderie with others, of knowing that I’m not alone in this peculiar species of lunacy. I’m sure it happens to many of us. We read the reviews, bask in others’ enthusiasm, and jump at the opportunity to join such a delightful party. We internalize a parade of expectations, often unrealistic, and are then sometimes reluctant to admit, even to ourselves, that what seems to be bringing them so much joy just isn’t for us. Maybe a different pipe will fix it, next time, or a little breathing time, or waiting until the next dark moon to try it again. 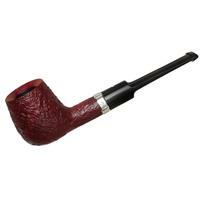 Events along our journey with other tobaccos, other pipes, can sometimes turn up the dial on this phenomenon. 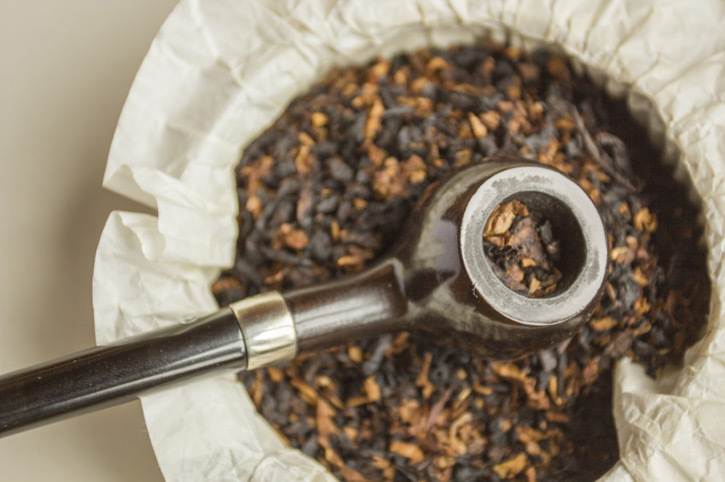 Most of us, I’m sure, have had those moments when a tobacco that didn’t quite "work" for us initially ultimately became a favorite as we began to understand it. 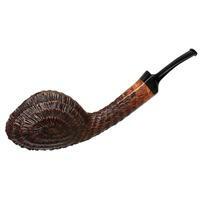 Further, just as there are those magically perfect pipe and tobacco pairings, there are the more sinister combinations where a tobacco brings out the worst in an otherwise wonderful briar, or vice versa. So, when we first try something new, all aglow with expectations and enthusiasm, our experiences reinforce the fact that, if things do happen to go sideways, it might just be one of those anomalous convergences of all the wrong things, and that we should press on with the exploration, cheerfully trusting that the next bowl, or maybe the one after that, will bathe us in the glorious light that so many others have witnessed. We must be doing something wrong, and with today’s instant reach to thousands of opinions, it’s easy to find reinforcement for this notion, forgetting that we’re each seeking our own benchmarks, and that while knowing more about the perceptions of others can serve to enhance our own experience, sometimes, that knowledge doesn’t define what we like or don’t like. Different horses for different courses. 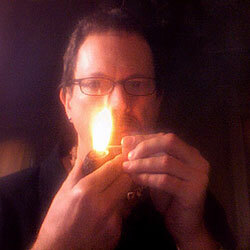 It seems pretty obvious when reflected in the rear view mirror, but it can be easy enough to forget for those of us who’ve been around the briar patch for more than a few seasons, and even more so for the newer pipester who often turns to forums and reviews seeking guidance for how to get the most of this strange pastime of ours. Despite some of our frequent romantic reminiscences of the "Good Old Days," we’re actually very fortunate, today, to have such a wide array of choices so readily available. Some we’ll like, others we won’t. Navigating these waters can be daunting and confusing, especially to the newcomers; it takes time to learn to trust our own sometimes changing tastes, but the one lesson I wish I’d learned earlier is that I don’t have to like something just because the big kids do. I often receive email from someone asking if he’s "doing something wrong," because he doesn’t get on well with a blend that’s popularly regarded. Neophytes, veteran smokers, and tobacco blenders alike sometimes just need a little reminder that we’ve all got different tastes, and that it’s okay not to like what others do. With this in mind, I’ll probably give this tobacco a few more tries. I may end up finishing this tin, or giving it to a friend who likes the stuff, or it may end up jarred to sit for another few years until I forget, again, only to discover it and enthusiastically repeat the same experience. Did I mention I can sometimes be a slow learner? I dare say that if you’re a pipe smoker some time in your experience this has happened with either a blend or certain pipe or both. I used to wonder what everybody else was getting that I wasn’t. Eventually, I realized that I didn’t care. You may notice that the opening photo has the guy smoking the pipe with the stem upside-down. I chose that photo because I thought this guy represented what I refer to as the “cool kids in school”, who might not really be as cool as some think they are. That’s also why I chose the other photo of the guy in the robe. Before I joined the forum I smoked what I like….even though it was a small sampling in respect to the immense tobacco world. Then after becoming active and reading others like and dislikes, I started buying tobacco at a near record clip……..I have 75 lbs cellared and 16 different blends in current rotation. Yesterday I jarred everything and opened a fresh tin and realized I am a wandering generality and decided to become a meaningful specific. I’ve since smoked 7 bowls of the same tobacco and SHAZAAM…….I’m finally able to figure out subtleties and nuances I never knew existed. My new mission it to smoke a blend one tin or two ounces if bulk, then move on to the next so I can better understand me, my tastes and likes. Wonderful comments already rolling in…thanks! What amazing talent, no? One day, I put his regular blend in a jar with a new name, and offered it to him. I don’t need to tell you what happened. 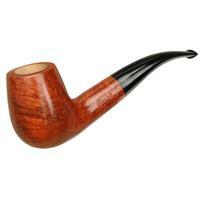 As a new pipe smoker, it’s good to hear that there are well-regarded blends out there that some people just don’t like. I count myself fortunate that I came across this forum before I got too invested in thinking that I ought to like Tobacco X - so many people have told me “Smoke what you like” that I’ve taken that to heart. I do try to give a blend a fair shake (a sample ounce or two, or a tin that I’ve bought on a whim), but I don’t see the point in stocking up on something that I don’t care for. I think we all have had that same experience, as well as the reverse. I never smoked the OTC blends, because after a bad I counter with a certain cherry blend, I decided that all drugstore tobacco was inferior. Recently, I tried Walnut, and Sugar Barrel. Now I decry the fact that they are being discontinued, because they were both very good. We may never see their like again. I, too, am reticent about tossing a blend that I absolutely don’t like. And I, too have been suckered into buying blends that were the next big thing, or the great old stuff, because of popular opinion. These days though, if I absolutely don’t like a blend after resting it a year, I will cheerfully donate it to others, rather than toss it on the woodpile. Unless I can mix it with something else. Couldn’t agree more. Some things you just don’t like, and never will. 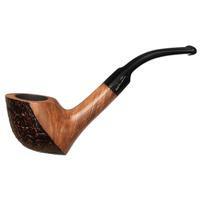 Although a pipe smoker of decades I am an even slower learner. 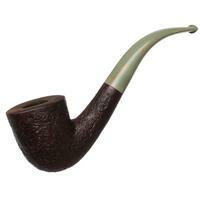 A few months back I bought a flake, Germain’s dark flake said to be very similar to Stonehaven, out of curiosity. Fine so far. I then tried it and did not finish the bowl. Repeated a week later. And then again and again about once a week. Bought another few ounces to keep this going but still have’nt actually finished a bowl. Usually I give up on a blend that does not suit fairly quickly although I have learned to give tobaccos a second chance after weeks of airing. Obviously can not quite accept that this tobacco, which is so well regarded, is just not for me. Having had the pattern so masterfully analysed will I now stop? Perhaps, but I just as likely I may go round the merry go round a few times yet before rationality reasserts itself. One might take knowing that you don’t like a blend as a blessing, especially if it’s a particularly popular blend in high demand with little rarely available. Not liking it could be a relief, in the knowledge that you don’t need to keep a vigilant eye out for the rare tin of it. There are always more blends to try on the list! It’s good to hear that the Greg Pease that I thought I knew, bullet-proof and master blender/pipe critic, suffers, at least at times, from the same malady that we all do: human error. Great article and certainly I have fallen to the mass hysteria of the ‘one blend that you must have’ routine. What I find confusing is how certain blends can be a favorite on one day and really be distasteful or not enjoyable on another? Ah, the fickleness of the palate. I think we’re all prey to the unobtania blends that are more hype than substance. There is a great difference between blends that really do take a bit of work to learn to appreciate and those that are just well touted - the problem is to find the difference! Before i got to the stage where i now smoke two tobaccos exclusively (bar the odd treat pouch of a different tobacco). Tried marlin flake it had everything in it that i loved (virginia perique cavendish, it has very favourable reviews, top qaulity tobacco and well made. But i found i just didnt care for it, im not saying its a bad tobacco its just not for me. Like gregg said in his article i tried numerous different techniques and it just didnt work. The best way i can describe it is that although it was smoking it just didnt let me into the nuances and that little bit of smoking experience that makes something click inside that makes you want more. I guess it is just one of them things for some people its instant jackpot for others it isnt i know there is people out there that adore this tobacco and thats good and i respect that. To me it was a very big learbing curve (and costly due to british tobacco prices) just because something has brilliant reviews it doesnt mean it is going to be just as brilliant for me. Kudos for an entertaining and thoughtful exposition on this subject! It must be quit common to fall in love with a new blend only to become disenchanted with it after the second tin. Maybe this can be explained by how and why our sense of taste becomes inured: when the novel becomes the familiar. Hmmm Greg. Moi? I’m far too rational for that - heh. Though I must confess that I am extremely susceptible to suggestion, I usually find that blends tend to grow on me. However, the converse also happens, where past favorites lose their standing, presumably as my fickle palate mutates. There have been highly regarded blends that I find myself trying to like more than I am actually enjoying. But the sheer variation in my personal response to a given blend/pipe pairing plus the real variations that the pairing itself induces makes my spreadsheet cataloging (sp?) each bowl full of statistical noise. Even when I am mindful of your advice as to the effects of time of day, specific foods and drink, the blend history in a given pipe, and weather, I see a lot of almost random experiencing which tends to lend a spirit of adventure to each new bowlful. Soooo… I dunno..